Bartlesville High School’s varsity boys remained unbeatable, while the Lady Bruins bounced back in championship style during Saturday’s Holland Hall cross country meet. The Bruins blitzed to first place — their fourth team title in four meets — in dominating style. They scored 35 points while runner-up Jenks came in with 61. Bartlesville featured four runners in the top eight — Henry Williams (third, 15:55.6), James Martinez (fifth, 16:30.8), Nathan Lauritsen (sixth, 16:55.8) and Reese Hammon (eighth, 17:09.5). Noah Eiden (13th, 17:35.6) rounded out the top five Bruins, whose finishes added up for the team total. The Lady Bruins were back at full strength this week and blew away the rest of the field. Bartlesville scored 37 points — nearly 50 more than the runner-up. Shay Stayton (second, 19:01.7) led the way for Bartlesville, followed by Rilee Rigdon (sixth, 20:26.5), Greta Olsen (seventh, 20:37.2), Erin Epperson (ninth, 20:53.3) and Margaret Drummond (16th, 21:52.7). Bartlesville made another dominating showing in the junior high boys division, winning the team title by more than 70 points. Max Williams led the way as the overall champion (5:15.4). Jillian Skalicky came in fourth overall to pace the Bartlesville junior high girls to second place. 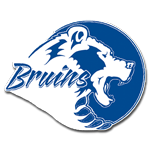 John David Lancaster (4th, 18:37.1) led the Bruin jayvee boys to first; Liza Williams (eighth, 24:31.9) topped the second-place Lady Bruins in the jayvee girls test.